This view in the larger of the two rooms and is where the original layout sat. Beyond the doorway was once an open porch before the railroad closed it in for the club to use. In the far room you can see the ten-foot long warren truss bridge built by Bob Whelove, and just below it the nearly twenty-five foot long plate girder bridge built by Charles Schwarm. What model railroad club is eighty years old this year and has been located in the same building for the whole time? It is also the oldest model railroad club in the St. Louis area, and because of this club the building it is located in – a former railroad depot – has been in continuous use since it opened for service in 1910. The answer is the Big Bend Railroad Club. In March 1938, ten high school students at Webster Groves High School declared the beginning of their model railroad club that they temporarily named the Model Railroad Club of Webster Groves. With the early help from one adult advisor who had the experience of building framework and model railroad cars, the club’s early years began on a firm footing. While the early meetings of the club were held in the local high school, it was obvious that something more permanent will be needed. With the country trying to come out of the worse depression in history, everyone knew that finding a location for the club might be impossible. Through a contact of the parents of one of the club’s members, a meeting was set up with one of the students and the Chief Operating Officer of the St. Louis and San Francisco Railroad. 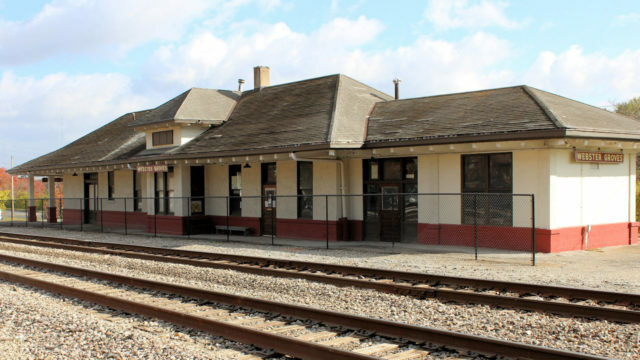 During that meeting, by a simple handshake, the club was given permission to use one of the waiting rooms in the railroad’s Webster Groves station on Big Bend Road. Throughout the years, the club has entertained the public with two different layouts, hosted five model railroad conventions, and appeared on many layout tours and local events. After purchasing the depot in 1994 to stop a scheduled demolition, the club soon reorganized to begin the steps to plan and attempt to make the many repairs and restorations the building needed. Difficulty in securing the funds to pay for the work has slowed its progress, but we all felt that someday we will find the help and support we need. Thanks to the local business district commission paying for the latest painting, this is how the depot now looks. The club paid for the new fence last fall that replaced the aging and damaged fence (from someone driving into it). This past February we received sad news that our club’s first President, and the member who made the agreement to have the club occupy part of the depot, passed away. Donald Q. Miller also had the distinction of being key to the beginning of the Wabash, Frisco & Pacific Railway by finding their first locomotive. 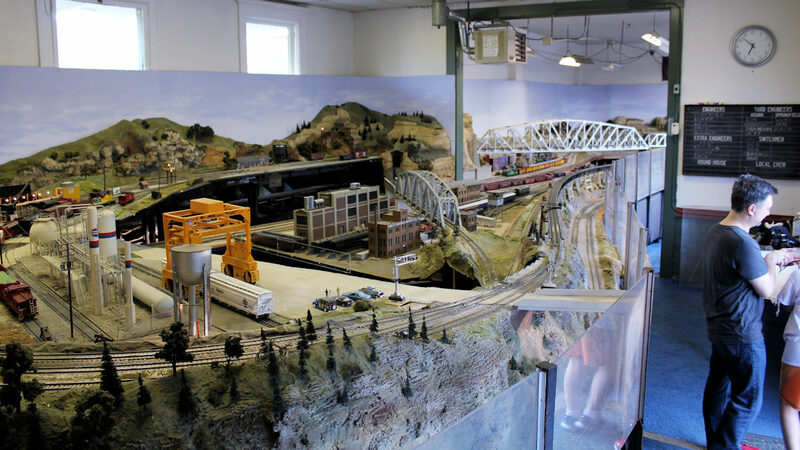 The Big Bend Railroad Club still has their public open house on the first Tuesday of the month from 7:00 to 8:30 p.m., with extra Tuesdays and Saturday afternoon dates in December. The membership meets every Tuesday evening to work on the layout, depot, or sometimes to just share stories or show off their models. More information can be found about the club on our website, www.bigbendrrclub.org, or on our Facebook page. Ken Rimmel started in model railroading after receiving his Lionel train set in December 1954. In 1960 he began his first (and yet to complete) HO layout. In 1964 he joined the NMRA and is now a member in over a dozen other railroad-related clubs, groups and museums. Ken’s primary modeling scales are O and HO, but has run trains on the Wabash, Frisco & Pacific, helped on the St. Louis Live Steamers, and helped to rebuild the Frisco 1522. One of his current big projects is helping the Big Bend Railroad Club try to raise the money needed to replace the sixty year old roof on the club’s depot.